Foam Frame Scene Diy 6Asst. 24.2 x 29.5cm. 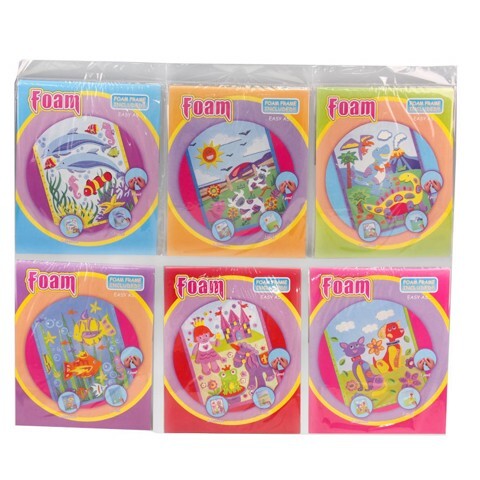 6 Assorted: Insect | Dinosaurs | Fairy | Sealife | Animals | Cars. Eva Foam | Peel Off Adhesive Backing. 0 Packaging: Shrink Wrap with Colour Card.